The purple viking is an interesting and very enjoyable mixed drink. It's one of those highballs (like the Long Island iced tea) that seems to be a random mix of spirits—whatever was handy at the moment—but the result is surprisingly good. This is one of the better tasting Southern Comfort drink recipes. The fruity spice of the whiskey liqueur is combined with other fruity flavors, including orange from blue curaçao, a blueberry liqueur, and sloe berries from sloe gin. Give it a splash of lime juice, sour mix, and lemon-lime soda and you have a complex, dark purple drink. It's a lot of fun and, even with all that going on, it's surprisingly refreshing. In a highball glass filled with ice, pour all of the ingredients except the soda. 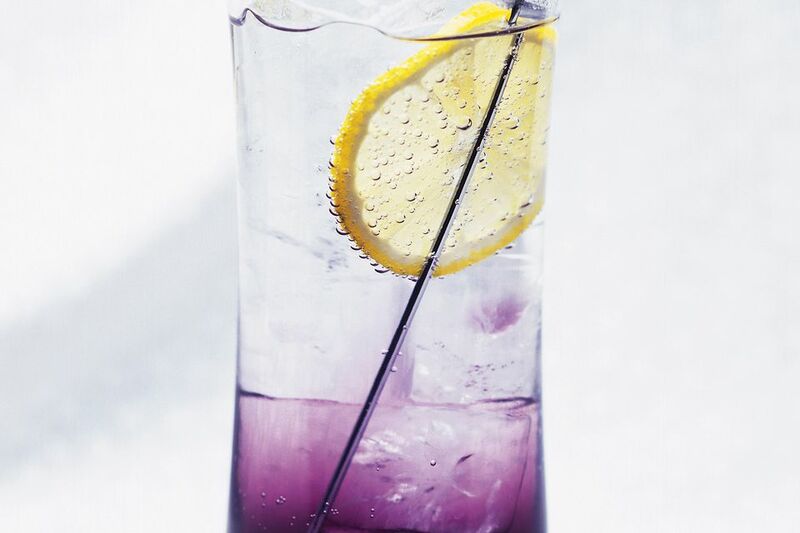 Top with a splash of soda. If you have enjoyed a purple viking at any time over the last few decades, now is the time to give it another try. That's because an exciting change came to Southern Comfort (popularly called SoCo) in 2017. After the brand was purchased by the Sazerac Company from Brown-Forman in May of that year, the formula changed and whiskey is back! That's right, if you thought you were drinking flavored whiskey all these years, you'd be mistaken and you're not alone. The SoCo base has long been a neutral grain spirit—similar to many vodkas—and this topic has spurred countless bar debates over the years. Though the exact SoCo recipe is still a secret, Sazerac has assured loyal fans that it does include a selection of their North American whiskey. It's now truer to the original 1874 recipe created by New Orleans' M.W. Heron who founded the brand. This is excellent news for fans of the purple viking and other SoCo cocktails like the Scarlett O'Hara. You also have more options on the liquor shelf: Southern Comfort Original is 35 percent ABV (70 proof) and there is an 80-proof black label version as well as a 100-proof bottling. All have a distinct whiskey base with those signature fruits and spices that made the brand such a hit over the years. It's definitely a great time to rediscover this iconic brand, even if you were turned off by it in the past. How Strong Is the Purple Viking Cocktail? Four spirits are poured into the purple viking and they make up the majority of the drink, so this isn't the weakest drink you can mix up. However, each of the liquors is around 30 percent ABV and that helps bring down the alcohol content a bit (unless you choose the 100-proof SoCo). When mixing the 70-proof Southern Comfort into a 6-ounce drink, the purple viking comes in around 20 percent ABV (40 proof). It's one of the stronger tall drinks you can make, but it's not too potent. You may just want to take it easy with this one because it can produce a wicked hangover.